- Valve repairing: up to 30". Gate valves; Global valves; Check vlaves; Control valves; Safety valves, . 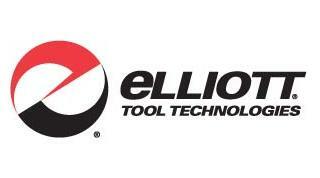 . .
- Ball valve repairing: up to 20"
- Pressure test after services. - Using portable machines. Providing services at site. - Valve lapping machines: Made by LarsLap / Sweden. - Pressure testers: Made by Barbee / USA. - Metal Thermal Spray Machine (HVOF): Made by Dura Metal / USA. - Valves repair services - Velocity Company. 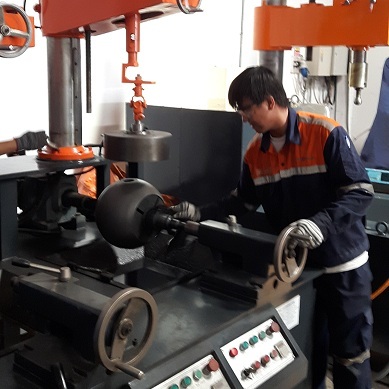 - Ball valve repair services - Oil & Gas Production Enterprise / Vietsovpetro. 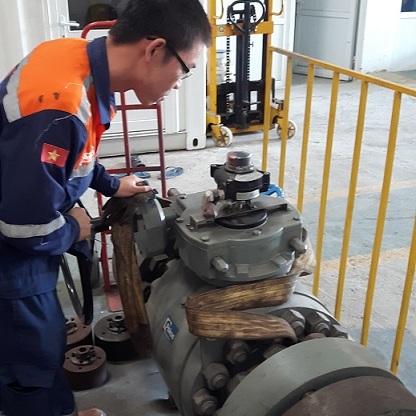 - Ball valve repair services - Phu My Fertilizer Plant. - Global valve repair services for FPSO - PTSC. 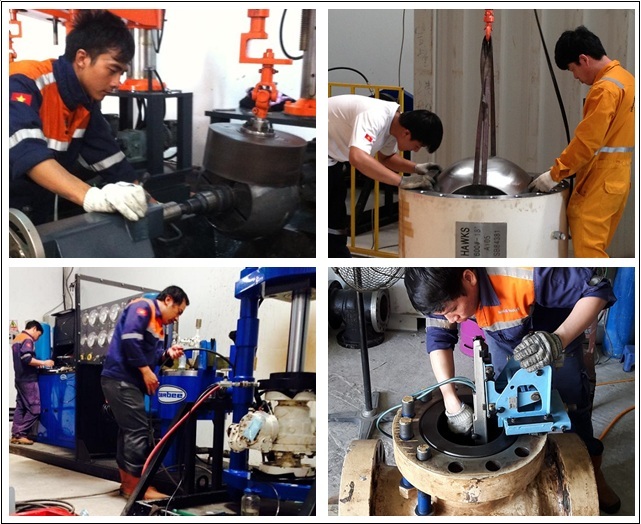 - Valve repairing services - Vina Offshore Engineering Company Limited.